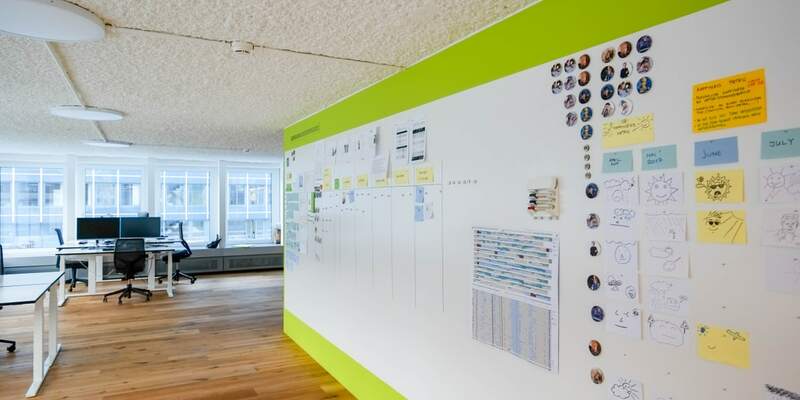 In an agile team, Raiffeisen and Liip are working together on the further development of MemberPlus on the methology of Scrum and Kanban. The cooperation between Raffeisen and Liip has developed and deepened over the years. From the first steps in agility to a joint Scrum team working in the same office, in which affiliation with the company does not play a role, has emerged. That’s why we are sharing our experience in a blog series about collaboration and cooperation. Approximately 255 Raiffeisen banks are currently members of the Raiffeisen Switzerland cooperative. Raiffeisen Switzerland provides services for the entire Raiffeisen Group and is responsible for the strategic orientation of the business areas of the Raiffeisen banks as well as for risk management, marketing, information technology, training, supply and management of banks with liquidity. Raiffeisen Schweiz also conducts its own banking business through branches. As Raiffeisen's customer loyalty platform, MemberPlus has grown over several years and now offers a wide range of services to the Raiffeisen customers. In addition to discounts for event tickets, there are special conditions for private customers for hotel accommodations and many more. Corporate customers also have access to special sponsoring deals from the Raiffeisen Super League. Raiffeisen Music is the app for young people to listen to their favourite songs, visit concerts for less money and with a bit of luck meeting their stars. In 2018, a relaunch of the MemberPlus platform realizes the following vision:"We offer everyone an overview of offers for members. These offers can be booked fast and easily by MemberPlus customers". In addition to this clear user centricity, the second focus is on technical innovation: an upgrade to Magento 2 and a completely new user interface with Angular. Curious about the next Blogpost? We’ll publishe the next article ends of March on the topic of project setup.